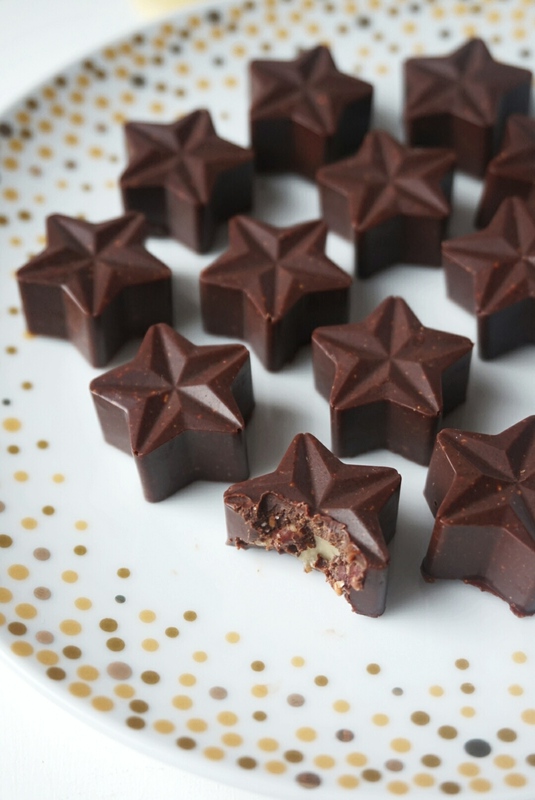 Today’s blog post and recipe for these gorgeous Vegan Spiced Pecans Chocolates is brought to you by my good friend and fellow vegan blogger Rachel from Healthyandpsyched. 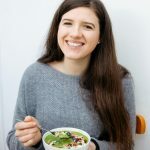 Both Rachel and me decided to do a recipe swap between our blogs – so her followers are getting a savoury recipe for Vegan Ricotta & Spinach Ravioli (that are also gluten-free!) 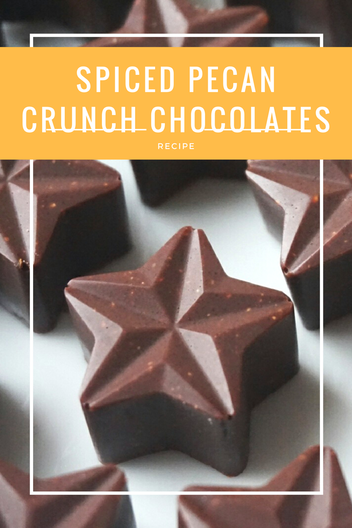 and you guys get to try out a sweet recipe for these wonderful looking spiced Pecans Crunch Chocolates! Rachel and I first met about 1.5 year ago at a blogger meet up of the Just V Show – and bonded right away! 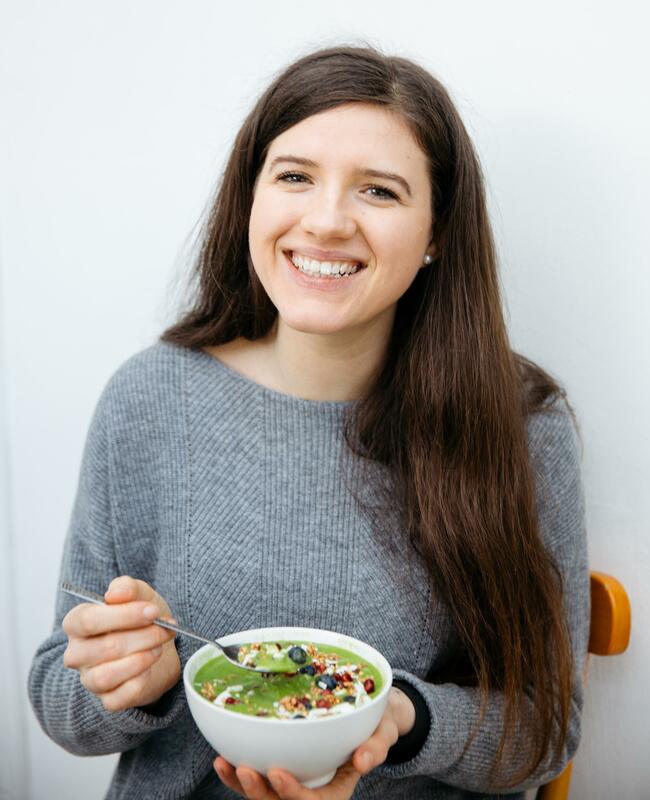 Unfortunately Rachel is not based in London, but we get to see each other regularly whenever she comes down to London, and I am super excited to be sharing her recipe here today! 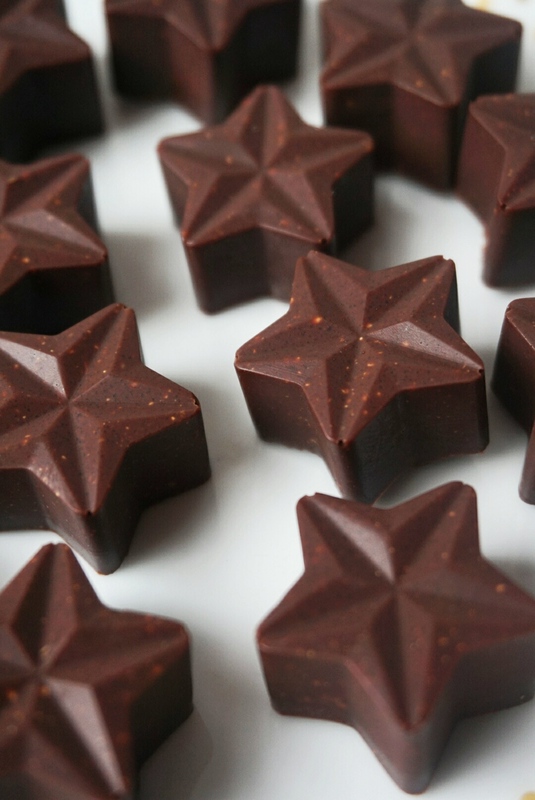 “I’ve just discovered how to make chocolate and now I want to share the recipe with the world! I had a few mishaps before I came to this method and chocolate recipe. It was disappointing, but you live and learn. 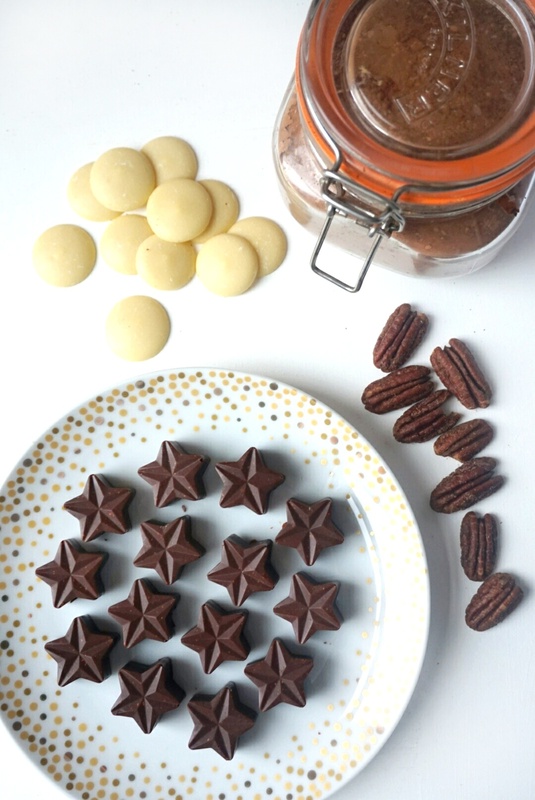 I think these spiced pecans chocolates would make a perfect present, and you could adapt them to use different nuts and nut butter. This recipe uses pecans and cashew butter, but I have used almond butter before and that turned out very delicious – it has a stronger taste than the cashew butter, which is creamier. * Natvia is the same sweetness as sugar but has 0 calories and 0 sugar. I like to use it in this recipe because it doesn’t melt the same as sugar and so it adds to the crunch of the chocolates. You could use 100% coconut sugar/Natvia, but I haven’t tried this variation. To make the chocolate you will be heating the ingredients in a bowl above water. You will need to find a saucepan and a heat proof bowl (I use a glass one) that sits on top about 1.5-2 inches from the bottom of the pan. Also, I would recommend using a silicone chocolate mould so that it’s easy to remove the chocolates once they’re set. Place the nuts in a bowl and shake over the spices. Then pour over the coconut oil and stir well until all of the nuts are fully coated. Transfer the pecans to a lined baking tray and roast for 8-10 minutes. Take the nuts out of the oven to cool down and turn off the oven as you won’t need it again for this recipe. Pour about 1 inch of water in the pan and bring it to the boil. Next turn down the heat until the water is simmering. Put all of the ingredients for the chocolate into the heat proof bowl. If you are using a block of cacao butter you will need to cut it into smaller pieces so that it melts evenly. Place the bowl on top of the pan – the bottom of the bowl should NOT be touching the water. Stir the chocolate ingredients until the cacao butter and cashew butter have melted and everything is smooth. Chop up the pecans into a mix of quarters and eights. Fill each chocolate mould with pecans – make sure they don’t come over the top of the mould. Spoon the chocolate into each mould. If you have extra chocolate you can line a loaf tin with cling film and make a block of chocolate in it. Place the chocolate moulds in the fridge and leave to set for at least 2-3 hours (depending on the size of your chocolates – it’s a big block it will need longer to set). Carefully turn out the chocolates once they are set. I would recommend to store them in the fridge so that they don’t melt again. They will be okay out of the fridge for a couple of hours though. Visit Rachel’s blog to check out my recipe for Vegan Ricotta & Spinach Ravioli here.